The Astronomer and I were sent to Nam Lợi restaurant for their famous hủ tiếu cá (fish noodle soup) by Loan Le, “The Lady” of The Pig and the Lady popup restaurant in Honolulu. We ran into her under The Lunch Lady‘s tree and got to talking after realizing we were in the company of Americans. 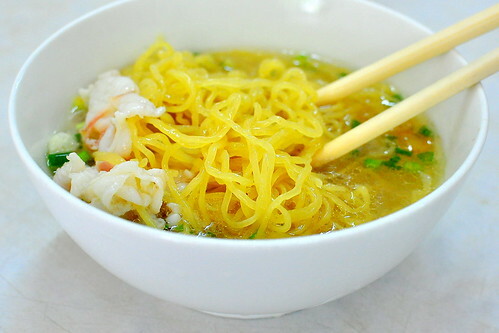 She told us that a trip to Saigon isn’t complete without a meal here. The noodles were fantastic, as were the bánh pâté chaud (pork pastries) served alongside them. “The Lady’s” enthusiasm was infectious, so The Astronomer and I made our way to the restaurant the following morning for breakfast. As anticipated, fresh-from-the-oven bánh pâté chaud were delivered to the table the moment we sat down. 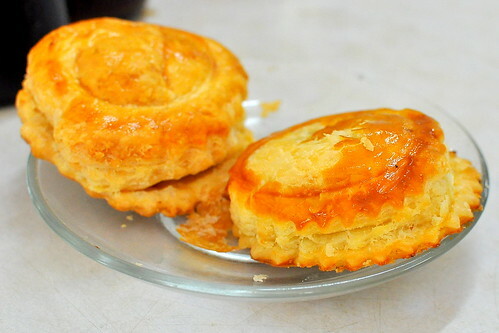 The pastry was flaky and rich, with a heavy-on-the-black-pepper ground pork filling inside. Oh, so good. 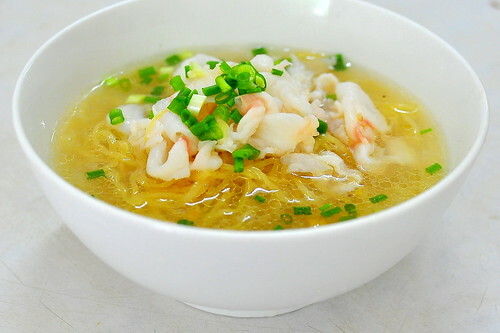 During the morning hours, Nam Lợi serves four similarly composed noodle soups based on one delightful broth. 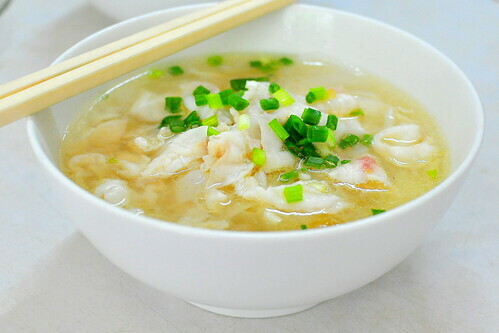 There’s fish noodle soup with wide rice noodles or thin egg noodles and chicken noodle soup with wide rice noodles or thin egg noodles. The Astronomer and I both stuck to their specialty fish offerings this morning. 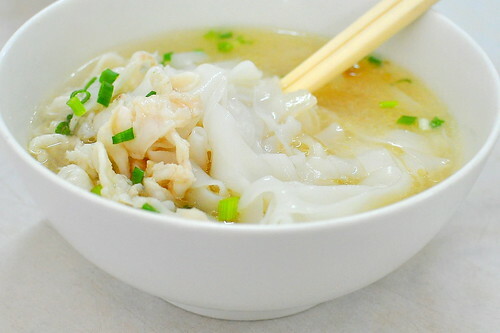 My bowl of hủ tiếu cá came with slick rice noodles swimming in a sweet pork broth perfumed with sesame oil. I loved how the little pieces of white fish were gently cooked and very tender. The hủ tiếu cá really hit the spot with its subtle flavors and familiar profile. Best of all was dipping the bánh pâté chaud into the broth. The Astronomer ordered the mì cá, which was nearly identical to my bowl, save for the thin egg noodles. 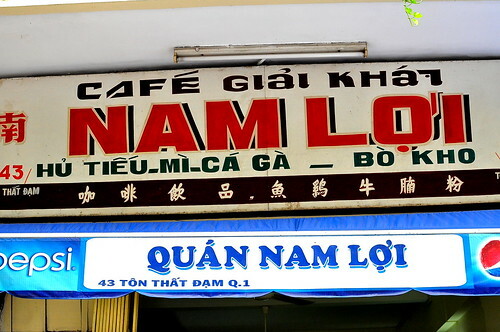 While the food at Nam Lợi was as tasty as “The Lady” promised, the service was the least friendly that we’d encountered the entire trip. A warning to those who visit this shop: it’s staffed by the grumpiest family in the country. Still, persevere and grab a bowl. It will be worth your while. I could really go for one of these in this weather! 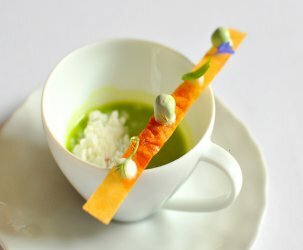 Can’t get over the clean elegance of the soups, especially the Mi (although I don’t usually think of Mi with fish). 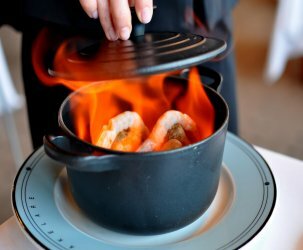 Bob – I forget the exact price, but I do recall it being much pricier than we anticipated. 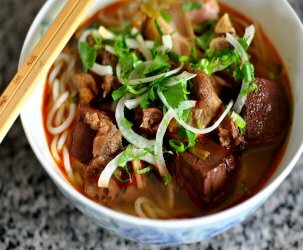 Maybe over 30,000 VND per bowl. “Elegance” is a nice way of putting things.